Separation and Divorce A Comparative Study of the Code of the Canon Law of the Catholic Church and the Civil Law of the State of Michigan. 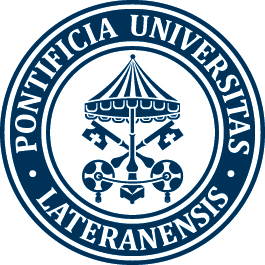 Rome: Pontifica Universitas Lateranensi. 1964. “The reason that the effect of separation is different in these instances from the effect produced when adultery is the cause is the fact that in these cases the grounds for separation are extrinsic to the nature of marriage. They do not directly contradict its nature adultery does, and there is less evil in them for this reason. Their effect on the marriage is only temporary. Thus the result is that when the cause ceases, the right of separation ceases also. “But even after the right of separation no longer exists, there will not in every case be an obligation to begin community of married life immediately. This will depend on the manner in which the separation came about. If the innocent party departed on his own authority, then he is obliged to restore community of life as soon as the cause for the break has ceased. If the Bishop has intervened in the case and issued a decree of separation, then the obligation to take up the common life again will depend on the terms of the decree. “In a case in which the separation was granted for an indefinite time, the innocent spouse is under no obligation to begin common life again with the guilty partner until there is a new decree from the Ordinary stipulating that the cause has ceased and that the parties must reconcile. The canon makes this provision in order to assure that the innocent party will not be compelled to restore the community of life unless there are sure signs of amendment on the part of the guilty spouse, and sufficient guarantees from him that his spouse will not simply be subjected to the same abuses as before the break-up of the marriage.